We recently passed our 3 year anniversary of living on the Cote d’Azur this past March. To be quite honest, I still remember the day we arrived and all the excitement and anxiety that went with it. Our lives have changes immensely since that day and I have to say we are better people for it and we are stronger because of it. And…so the time has come that we have to make another important decision in our lives. Our time in France will end soon and we have to decide our next stop. About 1.5 years ago, the potential list of a next city to move was: Tokyo, Hong Kong, Singapore, and Bangkok. Neither of us have spent much time in Asia. In fact my first trip was when we lived in Bangkok for an entire month in 2012 that included a few side trips; don’t miss our unforgetable ferry ride from Phi Phi Island to Phuket!. The global company we both work for is currently conducts an extensive amount of work with companies in Asia and, thus, they have a need for more representation in this part of the world. Our current opportunity presented? Singapore…just named the most expensive city in the world to live for 2014. Hell, I would say that the Cote d’Azur is just as expensive so I wouldn’t say this is a concern! You certainly pay for the beautiful scenery in this area while living on the Mediterranean Sea. Don’t forget, this is France and let’s just say you are taxed out your wah-zoo here. However, I can assure you, living on the Cote d’Azur is truly AMAZING! 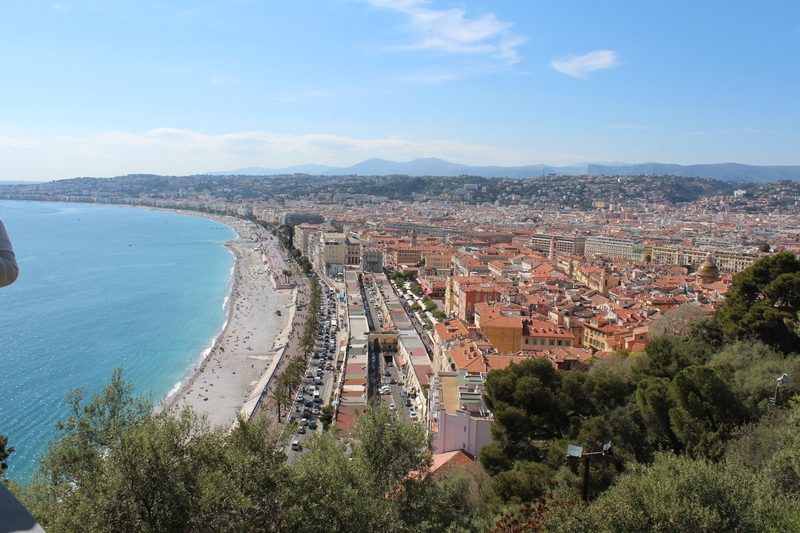 It’s not called the Cote d’Azur for nothing. Travel here and you will soon realize what I’m talking about. Nice, France on the Cote d’Azur. On the other hand, we also have the possibility to returning to the US; in particular, Denver, Colorado. Denver has been at the top of our list of US cities to move. We love Colorado. We were married on top of Aspen mountain. There are few places in the world that you can live that are truly desirable for many reasons. I really believe that Arizona, Colorado, and the Cote d’Azur share a common link, sunlight; 300 days a year of it! All 3 have quite amazing weather. Decisions are upon us. Where will we go from here? We aren’t exactly sure yet however, we are quite sure this will be our last summer in the Cote d’Azur. It has been an incredible experience to live abroad, embrace a new culture, learn a new language, and explore a new continent (or 2). While everything has it’s pros and cons, we wouldn’t change a thing. All 3 of us are richer people from everything we’ve gained during our time abroad. Stay tuned to find out where we decide to take our travels next. Right now, it’s decision time.